We're proud to say that we offer you a professional approach from your first call right through to the final delivery of your goods so that you can rest assured we take pride in providing your business with exceptional levels of customer service. "I would highly recommend Supersonic Sameday - they are consistently cost efficient, super reliable and apply a high standard of customer care from start to finish, which is where other logistics experts flounder." "We were extremely impressed with the whole service you provided, from the initial conversation to book the courier through to delivery. We were advised every step of the way on the service and delivery and received the item within the timescale given. Given this first experience with your company, we would not hesitate to use you again or to recommend your services." "Once again a quick email to sing your praises, first class service all round. With everyone around me panicking about today's last minute meeting and getting the samples here on time, it was nice to be able to truly rely on you guys - stuff DHL, your company beats them hands down !" "Thank you so much for the excellent service you provided. It was good to speak direct to you and make sure that all my requirements could be met. The package was collected and most importantly delivered on time and I really appreciated your call to confirm the time and proof of delivery. All in all an excellent service throughout, we will definitely be using you again." "Supersonic Sameday UK�s flexibility and customer service really stood out. They appreciated the urgency of my request, and fully delivered. I would not hesitate to recommend them, and will certainly be using them again in the future." "From my initial phone call requesting a quote, through booking a courier to being informed my package had been delivered, Supersonic delivered an excellent service that I would recommend and use in future." "I would like to thank you and your company for the great service that we havereceived from yourself and Supersonic Sameday UK. You were extremely professional. Considering that we needed you guys straight away and with the distance up to Scotland from Worksop, it was brilliant and very much appreciated. We will have no hesitation in using you again when needed." "Thank you so much what a splendid service. I was dealt with courteously and efficiently - the driver arrived almost as soon as I had confirmed the arrangements! And I had a call to say my delivery had been successful much sooner than I could have anticipated. I will certainly recommend you in future." "I am very lucky and pleased to have found Supersonic Delivery. They provided me with a life saving last minute Sunday night collection from Leeds and a prompt delivery to London a few hours later. The documents were then picked up from London and returned back to Leeds that same evening. Polite, courteous and informative throughout the process. Highly recommend them. " "Supersonic provided a completely professional and hassle free service. The delivery was performed to our exact requirement under a highly pressured deadline and within budget. Fantastic service!" "I contacted Supersonic Same Day UK Couriers for a quote to have a particularly awkward sized object collected and delivered to another place. I was prepared to do the usual tedious exercise of obtaining a few quotes but after only minutes of speaking with Supersonic, I felt confident and assured that what was being promised would be delivered. Supersonic were professional and honest throughout the entire process. The service and quote I received outweighs that of many London courier companies not to mention the joy of dealing with a person rather than a recording. I would highly recommend Supersonic Same Day UK Couriers." "I would like to take this opportunity to thank you for the outstanding service which has been provided over the phone in regards with my enquiry and the efficiency in dealing with it. Considering that your services' fees are 1.5 - 2 times lower than your competitors, we will definitely be dealing with you in the future and will be recommending you to our clients and friends. " "We used supersonic sameday on a Saturday and at short notice. From my first phone call to my receiving a call confirming that the delivery had been made was no more than three hours. The package went from Reading to Essex. Great service!" "Thank you for delivering these pictures safely for me. Especially at what is a very difficult time. Your company has given brilliant sameday service that as far as I'm concerned can't be bettered. First rate, your driver was very careful and I will certainly use your company again." "Outstanding service. Booked pick-up and delivered to our destination within 2 hour timeframe! Unbelievably quick and great value for money! Thanks." "Many thanks for your speedy response to our problems this morning. I am more than willing to give you very positive feedback and I can assure you that I and Fuchs Lubritech (UK) will be happy to use your companies services again, first rate. Many thanks for the assistance of yourself and staff." "Thank you for the excellent service. Not only was the cost the most competative I could find, but you also made me feel at ease and confident in the service. The courier was on time, polite and helpful and delivered my package on time and I was very impressed by the follow up communication that ensured me that my package had arrived, thank you." "Thank you for your first class service. Goods were delivered within a couple our hours and our customer is delighted. Would highly recommend your company." "We were very pleased with the service you provided. Your response time was very good, you were here within an hour of our contacting you, and the goods were delivered within the time schedule promised and your driver telephoned to advise us that the goods had been successfully delivered. This was particularly efficient as the goods were collected from Huddersfield at 4.00 pm on a Friday and delivered to Leith, Edinburgh the same evening. The rate charged was competitive. We would have no hesitation in using you again. Would highly recommend your company." "Many thanks indeed for the fast response to my urgent package, Delivered within 3 hours and a distance of 100 miles, I am very impressed. Rest assured I will definitely use you again in the future." "Many thanks for your e-mail and for the excellent job done at such short notice. Your service was efficient, friendly and indeed cheaper than our usual provider! "Many thanks for your confirmation, we were very impressed with your services - very prompt collection and confirmation of delivery and would recommend your company in the future." "Excellent service, very helpful, efficient and cost effective. The package arrived ahead of time - we appreciated your phone call to confirm its safe arrival." "We used Supersonic for a very important customer who needed a really urgent delivery. Supersonic were excellent - very efficient - very reliable - excellent communications - kept us in the picture right up to completion - highly recommended." "When I urgently needed to get a parcel to a clients meeting 2 hours away, Supersonic Sameday were competitive, fast, attentive and very professional. The parcel arrived well in time and the client was thrilled. Highly recommended for when it HAS to get there." My feedback would be that the service I received was excellent. I had been let down by another company who had agreed to deliver the goods during the morning. From my initial phone call to Supersonic Sameday UK the goods were delivered to Taunton within two hours and the service was very prompt and efficient. "When all their competitors were closed, luckily Supersonic Sameday UK were open and ready for business !! Our mission statement is to exceed our customers expectations and Supersonic Sameday UK certainly have helped us to achieve this." "We were very happy with Supersonic. The courier was here right on time and waited patiently while we put things together. And the feedback and confirmation call was greatly appreciated. We will be using you again and recommend you to others." Kelsey Schick, StrataHealth (UK) Ltd.
"The service we received was excellent from booking right the way through to delivery. Efficient and on time"
"An excellent service, very efficient and would highly recommend. Friendly staff and they do exactly what it says on the tin. We will certainly be using the company again in the future." "I needed a courier to take a very important document to a legal company in London, and it was essential that it arrived the same day, Supersonic reassued me of his service, great conversational skills, and competitive rates. I can only say that his service was impeccable, the parcel was delivered on time, and I received a phonecall from him to confirm this, which gave me the stisfacion that I had chosen the correct company for any courier services I require in the future, not only that, I will hav no hesitation in recommended him to anyone also looking for a courier." "Many thanks for delivering our books for the launch in time! We could not have had the response we did without you." "My company RepairTech Ltd had an urgent delivery to be made from Leamington to Durham at very short notice. Within 40 minutes of making an enquiry the courier had collected the documents and was on route. Upon delivery I got a phone call to confirm everything went as planned and this included some special instructions on site. I have no hesitation recommending this professional service." "Your service had been much apprecaited, we were the thrid party in between our customer and our supplier but your response in all areas was excellent. I would not hesitate to deal with yoursleves in the future and will keep your details on record, thanks again..."
"Thank you for the speedy service. It was very much appreciated. Fast, reliable and Communications fantastic." "We found you on Google when we were suddenly let down and desperate for goods to be delivered from London to Newark within 3 hours. I was extremely impressed by how easily your Company achieved this at a moment's notice and how reasonable the cost was. I will certainly use you again. Thank you once again." "Thank you for your email. I was very impressed with the service both you and your company provided; I especially liked the way I was kept informed of the delivery progress and given the details of who received the delivery without having to ask. I will be filing the details of your company in case we need a courier in the London area again." "I have to say I was very impressed with your service from start to finish. At around 6 pm I realized I was in St Albans without my passport which I had left in Wales. My flight was leaving the following morning from Heathrow. Yet by 10.45 pm I had my passport in my hand. I thoroughly appreciated your efficient calm approach and the rider when he arrived was professional and courteous." "From my first call to delivery of goods Supersonics service was outstanding. Having been let down many times it is really refreshing to find a company that is as professional, cost efficient, honest and dependable as Supersonic, i highly recommend them." "GCS utilised the services of Supersonic Sameday UK on 9th June 2009 for the first time. From the initial point of contact quotation data was instantly provided and once order placed to collect a parcel from Cramlington, Northumberland early afternoon, the package was signed for in Manchester at 1700 and confirmation of delivery provided by telephone. Receipts were sent immediately via e-mail. A very smooth process which we shall certainly use again in the future with confidence." 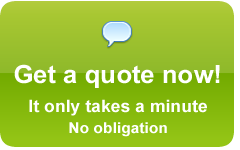 "Excellent Service, collection booked and delivered within a few hours. Great Customer service and highly recommended to anyone, even first time users. "We write to say thank you very much for your help in making sure our literature was delivered the same day and on time to Westminster, Central London from Chester in readiness for our seminar at The Institute of Civil Engineers the following day. Even though our telephone call to you was mid morning with confirmation being late morning, you still managed to make the delivery before closing time. We found your service efficient and of reasonable cost. We will be using your services should we require future same day deliveries with no doubt." "Thanks for this, I have to say that the service was extremely competitive,very prompt & easy to use. You can be assured that when we require a similar service in the future we will definitely be calling you. As a small business ourselves, we too rely on commitment to service, so it is particularly pleasing & refreshing to find a company with similar views. "We had one chance to get this right or our DJ would not have made her gig in India. Supersonic were professional and delivered a perfect speedy service at a good price to save the day." "A very efficient and reliable service for an exceptionally reasonable price. Other courier services should take note of the quality services offered by Super Sonic Same Day."